Sugarloaf Ridge State Park campground has 48 campsites set in a wood area along Sonoma Creek. Thirty-six of the campsites are reserveable and 12 are first come, first serve. There are no hookups at this campground, but it dos have drinking water, flush toilets and hot showers. Group camping is available (up to 50 people). Most of the campsites are flat and have a table, fire ring and grill (many also have a food storage locker). Maximum trailer length is 24 feet, and RV is 28 feet. The Park is starting to recover from the October 2017 fires. Per Cal State Park – there is now limited, select areas and some trails will reopen on February 1, 2018. The park’s water system is back on-line and the water is potable however, visitors may notice a change in the water’s color due to increased turbidity in the system. 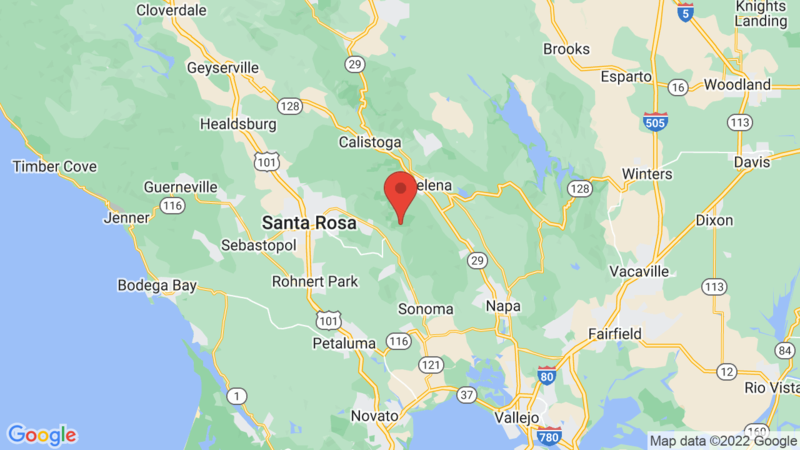 Bothe-Napa Valley State Park is just 25 miles away and has 53 campsites, include 10 yurt sites. 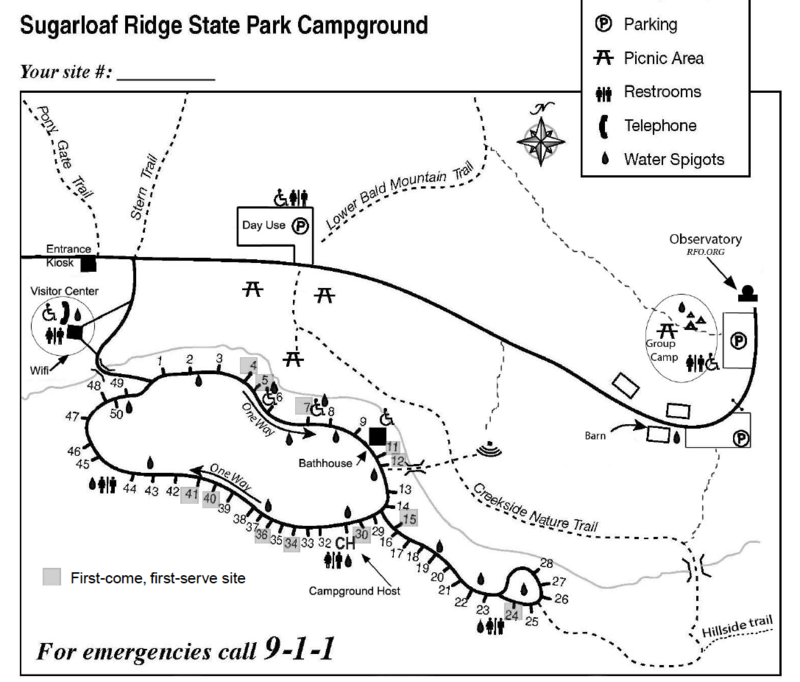 Visted Sugarloaf Ridge State Park Campground lately? We'd love to hear about your adventure. Did you find us useful? Did we forget something? Anything our community should know before heading out to Sugarloaf Ridge State Park?